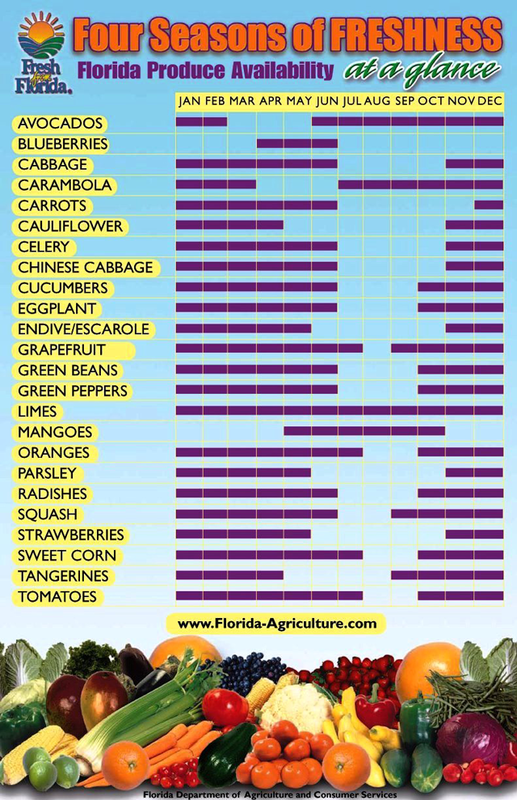 Florida onions must be very good if they pass them off as Vidalia onions. An investigation has been launched into improprieties at Bill Gates’ Vidalia onion operation. Georgia Commissioner of Agriculture Gary Black has launched an investigation into allegations of improprieties at Stanley Farms, the Vidalia, GA, onion facility acquired last year by interests connected to billionaire Bill Gates. Mr. Black and officials from the U.S. Department of Agriculture held an emergency public meeting in Vidalia May 7 with a packed room of Vidalia onion growers to hear allegations that Stanley Farms recently processed as many as 400 truckloads of conventional yellow Florida onions at the same facility where it processes Vidalia onions without separating the two as required by law, an infraction that carries a fine of $5,000 per incident up to $20,000. 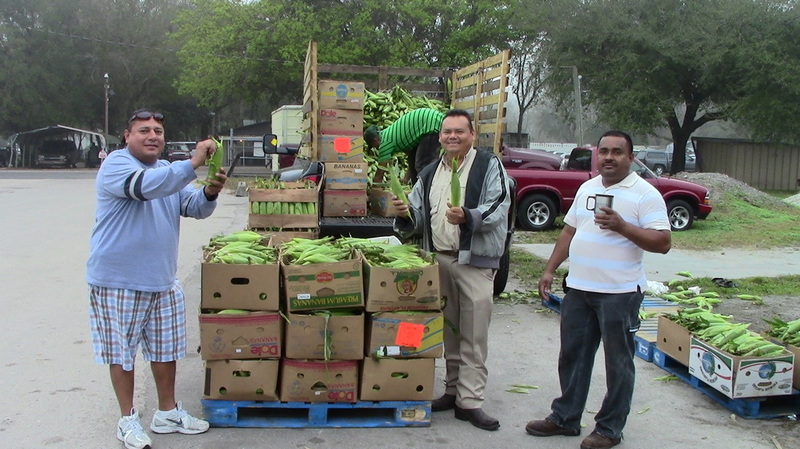 Hundreds of truck loads of produce were hauled out of the Plant City Farm & Flea Market this past Friday. They were headed to locations all over Florida from Miami to Pensacola, and dozens to out of state locations in Alabama, Georgia, S. Carolina, N. Carolina and Tennessee, with three trucks going to Virgina, and two trucks that were headed to Ohio. 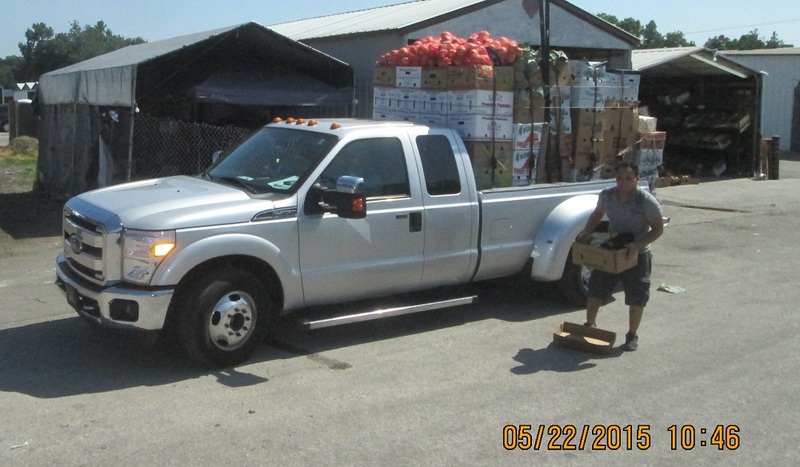 This pickup truck was going to the Jacksonville Farmers Market on Beaver St. I think he may need to get a bigger truck. Here is something that I bet you didn't know happened in Plant City. In April of 1959 at the Burger Queen, Conway Twitty appeared with managers Sam Bates & Stan Whitchoskey. I bought many burgers & shakes from Sam & Stan. That In Vermont women must obtain written permission from their husbands to wear false teeth. 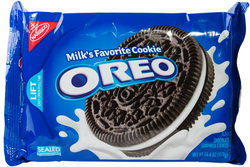 Nabisco's Oreo's are the world's best-selling brand of cookie at a rate of 6 billion sold each year. The first Oreo was sold in 1912. In addition to a stint in the Air Force, Willie Nelson has worked as a cotton picker, saddle maker, disc jockey as well as a vacuum cleaner, encyclopedia and Bible, salesman. You know what I did before I married ? I Know That You Feel Smarter Now ! ! He was a legend during his life and considered one of the American west's premier gunfighters, James Butler ("Wild Bill") Hickok was born in Troy Grove, Illinois. 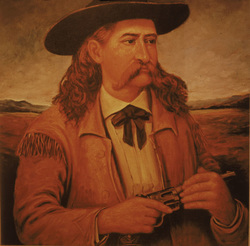 The son of William Alonzo and Polly Butler Hickok, he was by all accounts a master marksman from an early age. Wild Bill Hickok is remembered for his services in Kansas as sheriff of Hays City and marshal of Abilene, where his iron-handed rule helped to bring law and order to two of the most lawless towns on the frontier. He is also remembered for the cards he was holding when he was shot dead (a pair of black aces and a pair of black eights), which has become known as the dead man's hand. 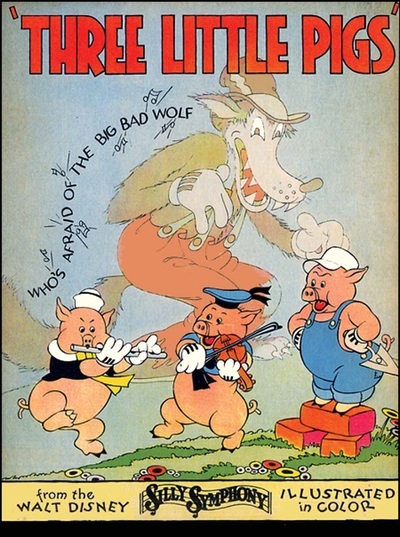 Click Here To Read More On "Will Bill"
The Three Little Pigs was released by United Artists, produced by Walt Disney and directed by Burt Gillett. 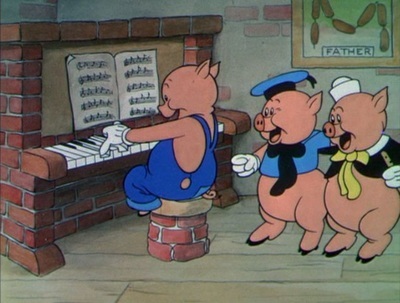 It was based on a fairy tale of the same name, the Silly Symphony, and it won the 1934 Academy Award for Best Animated Short Film. The film cost $22,000 and grossed $250,000. 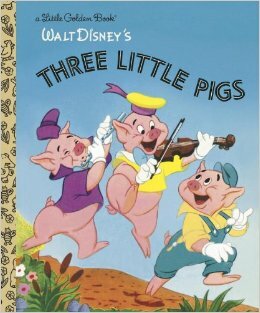 In 1994, it was voted #11 of the 50 Greatest Cartoons of all time by members of the animation field. 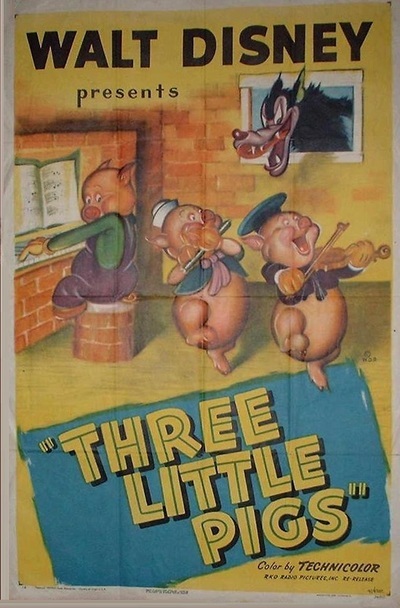 In 2007, The Three Little Pigs was selected for preservation in the United States National Film Registry by the Library of Congress as being "culturally, historically, or aesthetically significant". 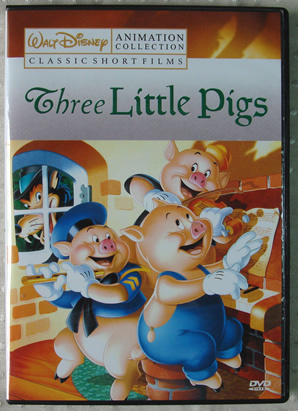 Three Little Pigs video. Click to watch. 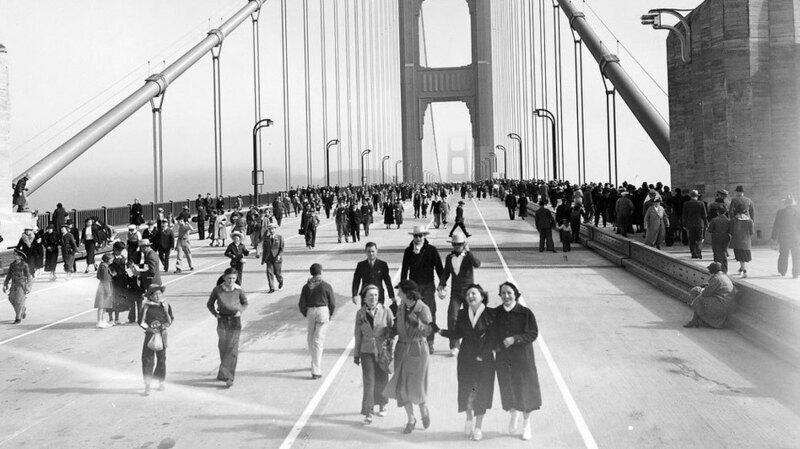 The bridge's opening day was strictly for pedestrians. The day was typical for May in San Francisco: foggy, windy and cold. That didn't stop 200,000 people from crossing the bridge. Many walked. Others ran, tap-danced, roller-skated, unicycled or strode on stilts. The battle was a sequel to the Battle of the Denmark Strait, fought on 24 May 1941, in which Bismarck and her cohort the heavy cruiser Prinz Eugen had sunk the prestigious British battle-cruiser HMS Hood and damaged the battleship Prince of Wales, forcing her to withdraw. Following that battle Bismarck was pursued for more than two days by ships and aircraft of the Royal Navy and Royal Air Force. Eventually, on the evening of 26 May, her steering gear was crippled by a torpedo bomber attack, and on the following morning Bismarck was neutralized by a sustained bombardment from a British fleet, she was scuttled by her crew, and sank with heavy loss of life. The Bismarck moored to the pier in Gotenhafen in May 1941 shortly before Operation Rheinübung. He was an American cartoonist, entrepreneur, and amateur anthropologist, who is known for creating the Ripley's Believe It or Not! 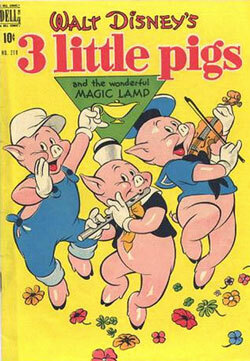 newspaper panel series, radio show, and television show which featured odd facts from around the world. He was a film director, producer, screenwriter, author, and activist. He achieved stardom for his acting achievements, in particular his motion picture portrayal of the comic book superhero Superman. 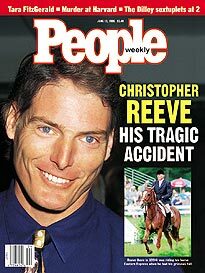 On May 27, 1995, Reeve became a quadriplegic after being thrown from a horse during an equestrian competition in Culpeper, Virginia. 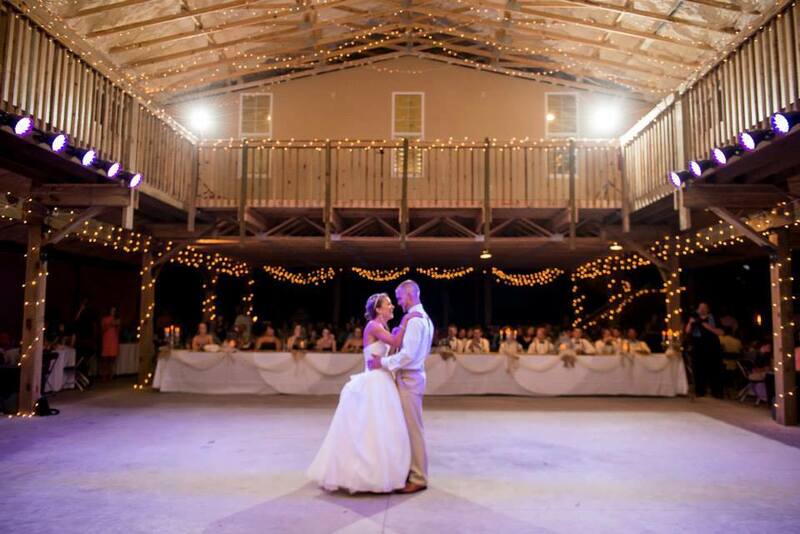 He required a wheelchair and a portable ventilator for the rest of his life. He lobbied on behalf of people with spinal-cord injuries and for human embryonic stem cell research, founding the Christopher Reeve Foundation and co-founding the Reeve-Irvine Research Center. Mercury is now retrograde. It's official. It will stay retrograde until the 12th, but the safer outer date will be June 27. 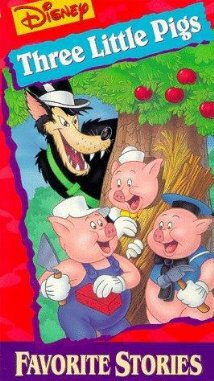 So right off the bat, this is in the mix this week. In addition, fair Venus is at odds with Uranus (sudden infatuation), followed by Mars at odds with Neptune. (Who am I really?) Then while Mercury itself is retrograde it, too, becomes at odds with fuzzy Neptune. Oy! Too much! (Is this the party to whom I am speaking?) This opens the door wide - too wide - for disappointments and feeling let down by someone plus confused communications. Hot tip: If you write drunk; edit sober.